There are 1.56 million people in Philadelphia. If each of them had three houseplants, that would bring nearly FIVE MILLION new plants into the city - to clean our air, bring some green indoors, and (let's face it) bring a little more happiness into the world. 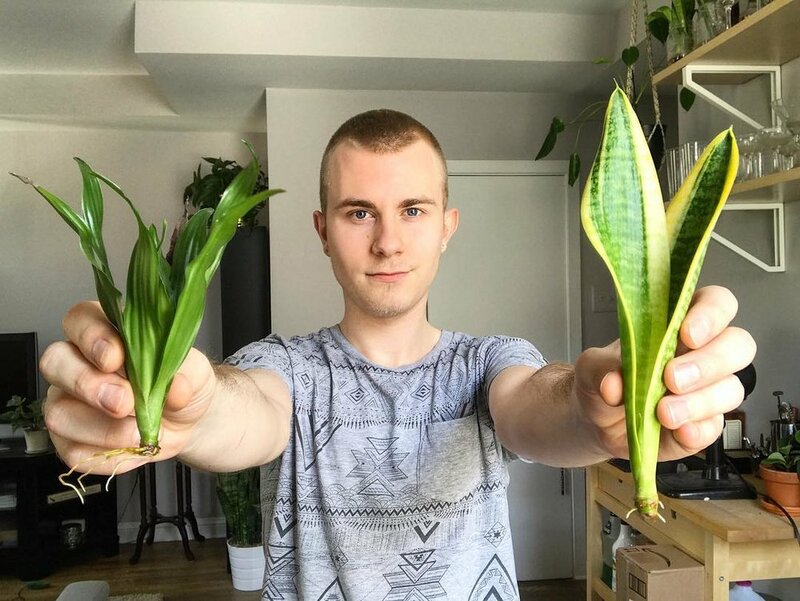 Until everyone else catches up, Nick is picking up the slack with his indoor jungle of 120+ houseplants. If you're thinking to yourself "I'd love to do that, but I have a black thumb.." stop already! But definitely keep reading - Nick's refreshing honesty + candor will definitely change your mind. His approach - stop crying over dead plants, do embrace new things, don't be afraid to "fail," and follow your bliss! Let's face it - the journey (and the destination) are always more interesting when you do what makes you happy - just because it makes you happy! If you want to dip your toe in the water before you jump in, check out his Instagram + YouTube channel for some inspiration and tips on how to get started! Inspired to start your own #urbanjungle? Here are some of our favorite resources for new plant parents!